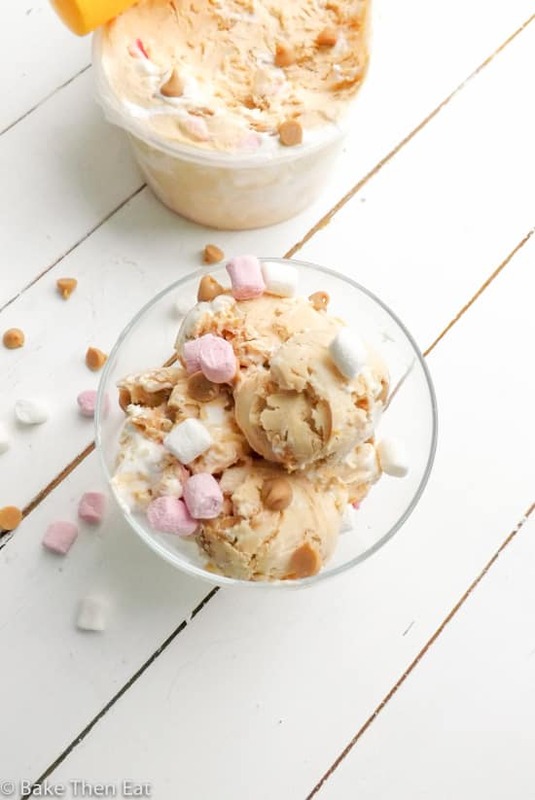 It is Peanut Butter Bash time again  and just in time for the start of the festive season and this recipe will be a great addition to any festive menu. 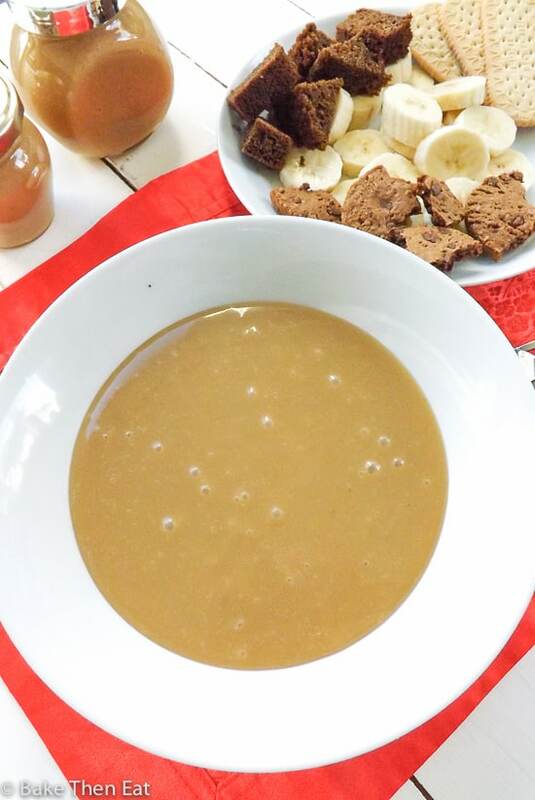 If you love peanut butter as much as I do and you fancy joining in the fun then check out the end of the post. 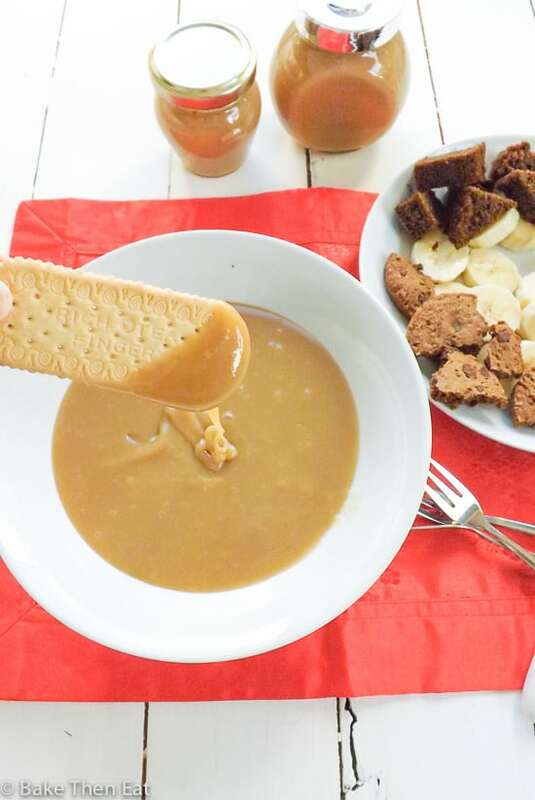 Meanwhile relax and lets enjoy a little treat together with this amazingly Easy Peanut Butter Butterscotch Dessert Sauce. 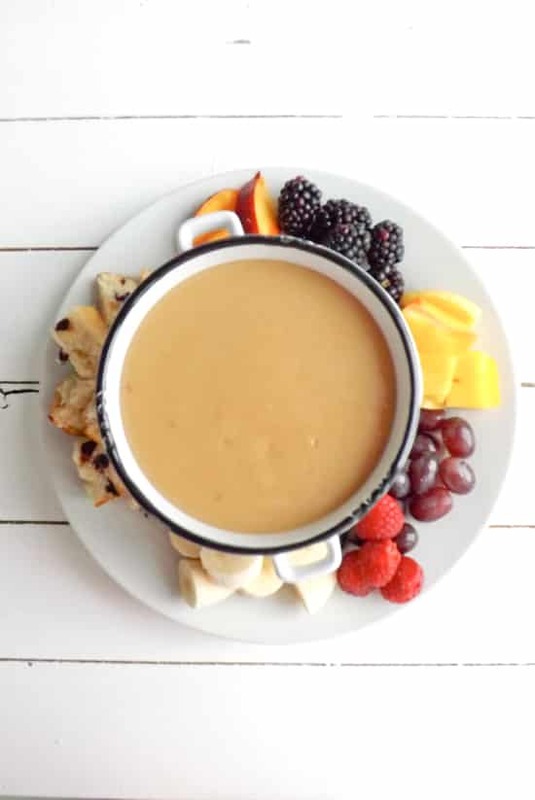 This is pretty much my Slow Cooker Butterscotch Fondue recipe but a lot quicker and made on the stove top. Oh and of course flavoured with peanut butter. Instead of using a slow cooker (which would totally work for this recipe) it all comes together in a pan on the stove top in 10 minutes. 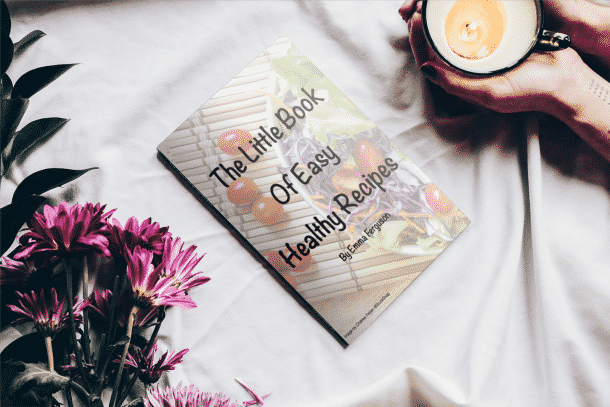 Which can be a total game changer if you are suddenly besieged by unexpected guests over the festive season and need to whip up something fancy in very little time. I just wanted a quick word about the peanut butter used in this recipe. In the recipe below I have stated 3 to 5 tablespoons depending on taste. In this version you are seeing here it has 3 tablespoons in it. The peanut butter flavour is subtle and gentle and not overpowering. The butterscotch flavour is still evident in this sauce. But if you find it too subtle by all means add another tablespoon of peanut butter. But keep tasting so you know when you have added enough. 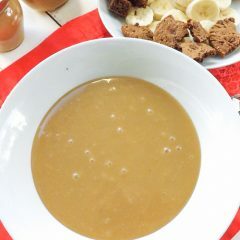 This easy peanut butter butterscotch dessert sauce can be many things, as you can see from the photos it makes an amazing fondue. Pop a bowl of this in front of your guests with a selection of things to dip in it and I promise you your guests will be super happy. I used a selection of biscuits / cookies a little of my Old Fashioned Orcadian Gingerbread and some sliced banana, any fruit, cake, cookies will work. 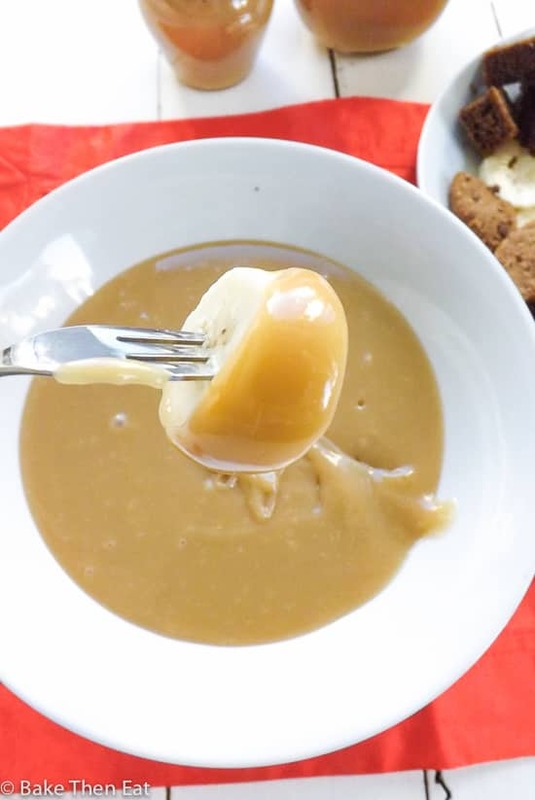 Easy Peanut Butter Butterscotch Dessert Sauce is a simple easy to put together sauce with a variety of uses - a dip / an ice cream topping / fondue / cake filling or even straight from the spoon! In a medium sized saucepan over a medium heat melt the butter. Once melted add in everything else except the peanut butter and gently stir until everything is well combined. Keep staring until the mixture comes to a very gentle boil and has started to thicken. This will take anywhere between 5 to 10 minutes. Once it has thickened take it off the heat and add in the peanut butter. It will take a little bit of elbow grease to get the peanut butter fully incorporated but its worth it. Allow it to cool a little before serving, or once fully cooled store it in sterilised jars in the fridge up to a week. Do you want to join in the peanut butter bash fun? If you do, then leave a comment below saying you wish to join and we will get back to you ASAP! The deal is the first Thursday of each month we post a dish with peanut butter and one different ingredient to see what we can come up with. There is also a Facebook group if you want to join in the fun, but don’t have your own blog. The Peanut Butter Recipe Box. 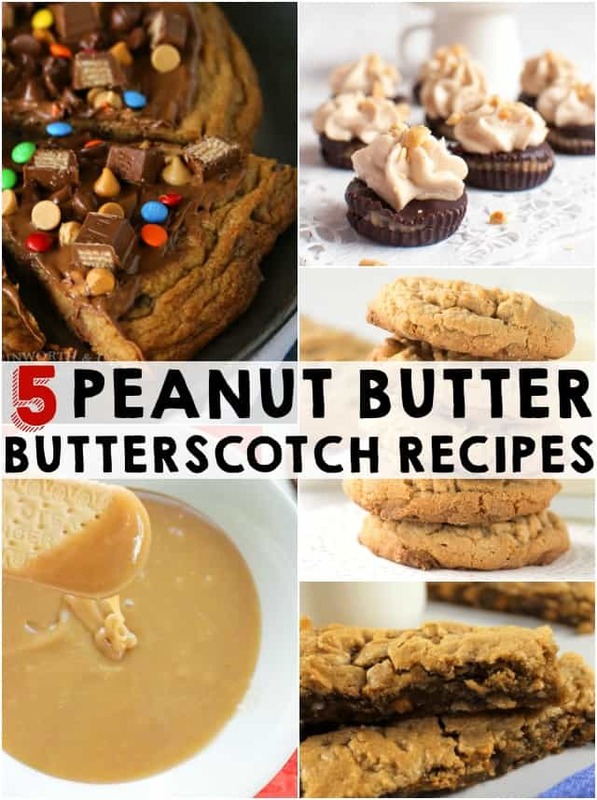 Here are the other peanut butter and butterscotch dishes for your enjoyment. Oh my goodness, this looks SO good, Emma! Butterscotch anything is my weakness! I could just dive right in! Oh yes please! I could eat the entire bowl to myself! Thanks Caroline, I almost did! Thanks Liz, this makes a great ice cream sauce especially if its warmed up a little! 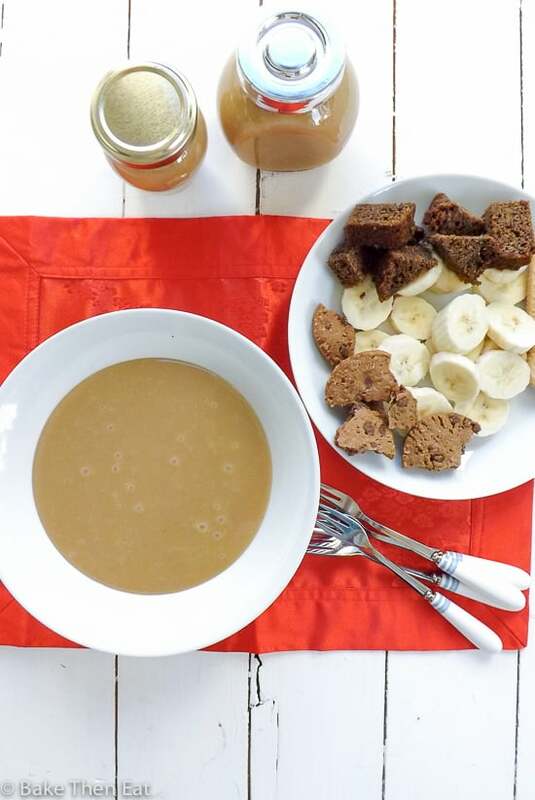 I love this season, I love peanut butter, and I love quick & easy! This recipe looks like an all-around WIN. Yum! This looks amazing! I already see this vegan so will definitely give the sauce a try. Love this idea! So fun to create a yummy dip with butterscotch and peanut butter and so many possibilities on what to do dip! 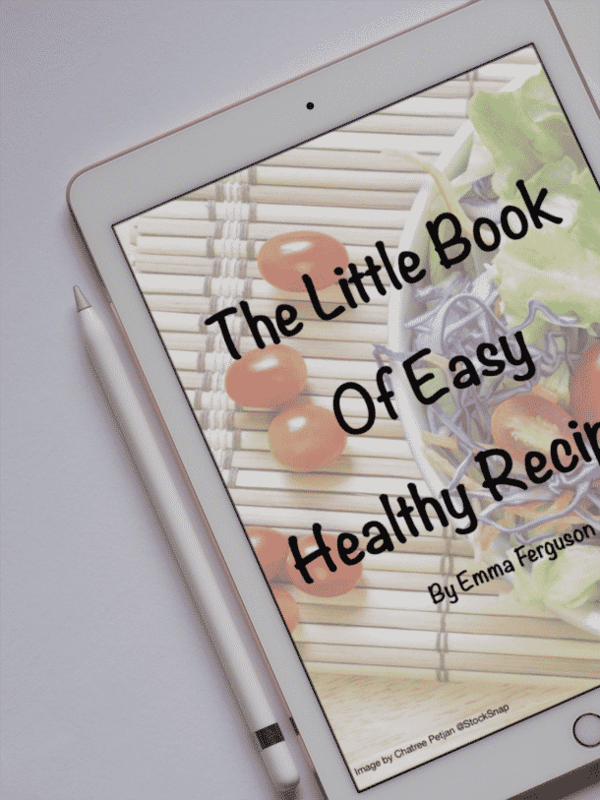 Thanks Amber, I do love a versatile recipe! Peanut butter butterscotch sauce? You had me at the name, Emma. I am very sure this sauce can make any simple dessert taste so elegant. Lovely share. o my my my…this looks beyond delicious and totally enticing!